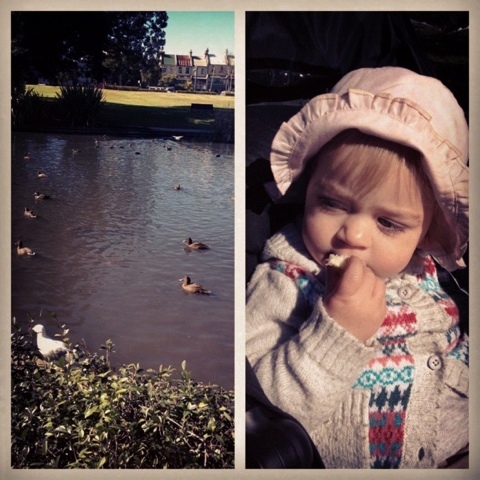 We went to feed the ducks yesterday. It was not how I remembered it. It is quite unpleasant to be surrounded by birds. Takes me back to year ten English and Alfred Hitchcock. She just ate the bread.